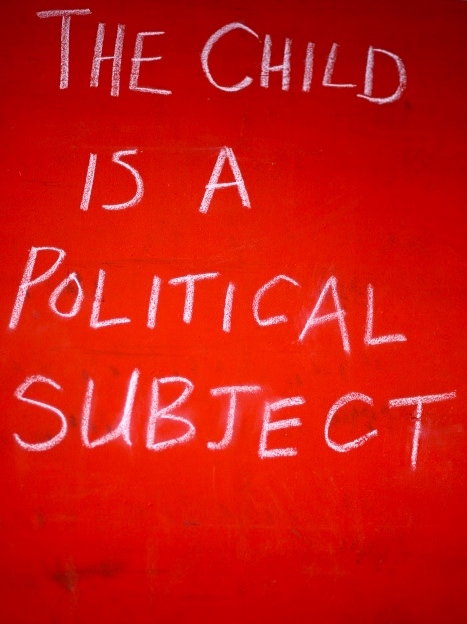 Following on from the chalkboard drawings and text interventions produced as part the talk “Parenting in the Art World” [Nov 23rd]’ within the group show, Re-Raising Consciousness (curated by Fayen De’Evie, Harriet Morgan and Katherine Hattam at TCB Artinc [November, 2014]): ‘Parenting is Political’ presents new artworks and texts by Kym Maxwell and a Self-Portrait of Angela Brennan (2004) which foreground perceptions of parenting in modern day life, such as institutional wellbeing, the rights of the child and being raised a political subject. 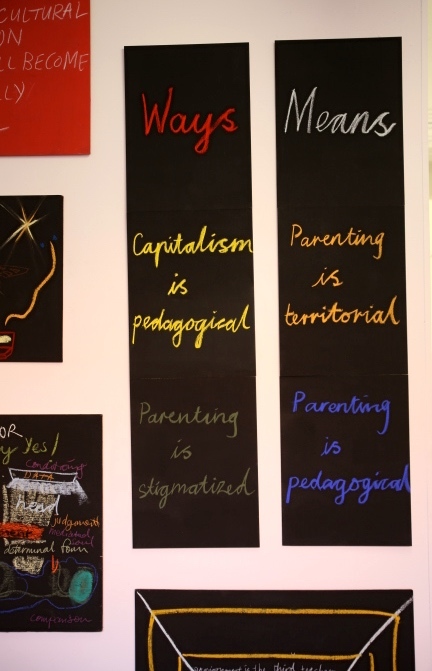 This small exhibition surrounds a dialogue of parenting and its politics. 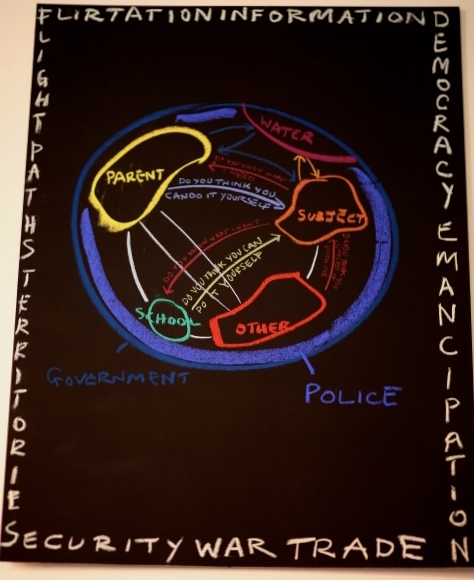 These dialogues are presented in gallery via a series of chalkboards by Kym Maxwell, and online through text contributions by Aurelia Guo, Anastasia Klose and Angela Brennan. 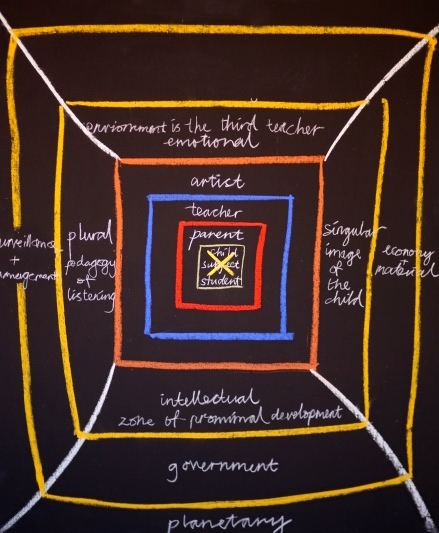 These conversations will explore parenting in its broadest definition, as carer, authority, non-gendered and sometimes non-positive influence, as well as — its perceived place in the pedagogical. The meta-narrative of parenting hierarchies and its culture, agency and community norms through the implication of etiquette is at the core of this research.